Despite being one of the smallest vessels in the P&O fleet, the Pride of Burgundy provides the perfect setting to relax and pass the time whilst making your short journey. You can grab a bite to eat, have a drink at the bar, gain some retail therapy and even let the kids run around and burn some energy in the designated play areas. This state of the art ferry can carry up to 1,420 and 530 vehicles on each of its journeys. 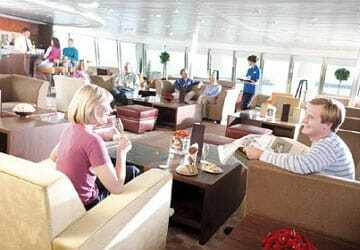 The amenities and crew areas are spread over eight decks, with the ship measuring in with a length of nearly 180 metres. Due to the short nature of the journeys there are no passenger cabin options available. However, reserved seating can be booked. 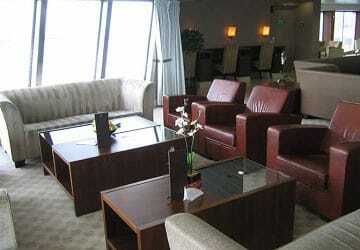 Club Class Lounge seating can be pre-booked if you fancy a little bit of extra luxury whilst crossing the channel. 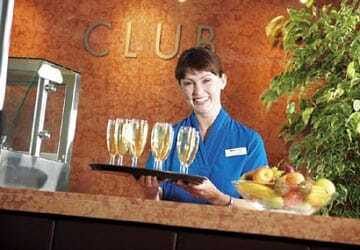 You’ll find options for both food and drink aboard this P&O service. If you want to grab a quick bite to eat, enjoy something at the bar or visit the coffee shop, there are options to suit everyone’s tastes and pockets. 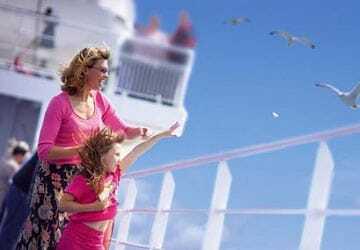 If you are in need of some holiday necessities, a few souvenirs or even just fancy treating yourself to a little something, the on board shopping options provide you with the ideal opportunity to take advantage of lower than high street prices. 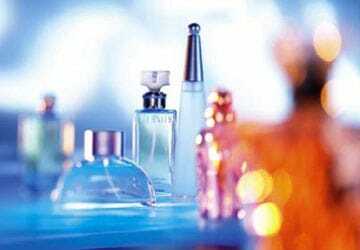 As well as the usual books, magazine and snacks, you can benefit from huge savings on items from beauty brands to your favourite tipple. Commission free foreign exchange is available to all passengers from the bureau de change and ATM machines are located throughout the vessel. 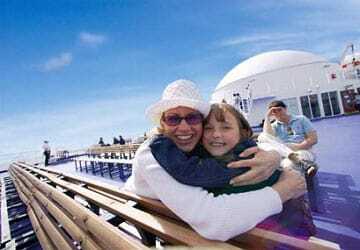 Young travellers will have plenty to do and keep them occupied on their voyage. A dedicated kids play area will allow the little ones to burn some energy and have a run around. The onboard video arcade will allow both small and big kids to be part of the fun. 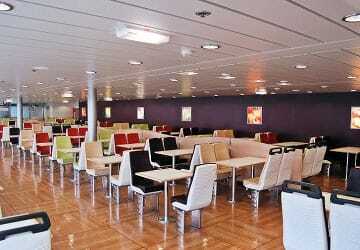 P&O ferries are specially adapted to cater for those travellers with restricted mobility. The Pride of Burgundy’s shopping, dining and seating areas are all fully accessible and wheelchair friendly. If requested in advance staff are available to meet and assist passengers with special requirements on the vehicle deck. Please Note: Whilst we have taken great care in making our Pride of Burgundy guide as accurate as possible, onboard facilities, services and entertainment may vary depending on the date and time of year that you travel, facilities mentioned may change without notification and ferry companies reserve the right to operate vessels other than those mentioned at time of booking without prior notification. 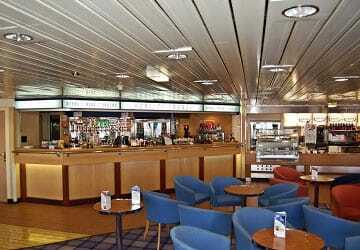 The crossing was good, we arrived at the port early and P & O was able to put us on a 2 hour earlier crossing. Very impressed with the whole experience. The staff were immaculate and professional. As usual a simple booking process, reasonably priced. Smooth process from start to finish. Amazing food! Amazing service! Brilliant service and very organised. Everything was smooth and efficient. We had priority boarding and were on and off the ferry in no time. I arrived very early for my scheduled crossing, but the gentleman in the check in kiosk was very helpfull and even got me on an earlier crossing. Pleasant crossing from Santander to Plymouth. Cabin was comfortable and clean. Food on board was good and not overpriced. Left and arrived on time. Very smooth operation, got there a bit early and allowed to travel on the next ferry. 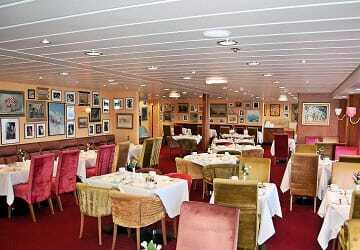 Boarding was speedy, ship was clean, plenty of seats, good choice of food in the restaurant. All in all a very pleasant experience. Very pleased with your service thank you. However we had a 2 hour delay on the outbound trip due to no ramp being available at Dover dock which resulted in the ferry moving docks. This a side very pleasant trip thank you. 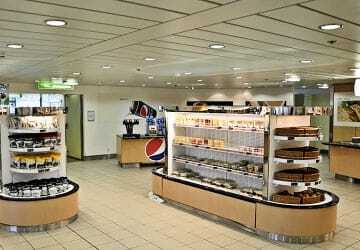 I've travelled with P&O before and it always has been a good experience and still is. Thank you for the great excellence. Kind regards. 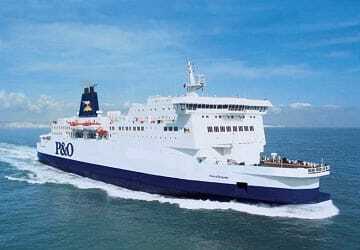 "Journey from Calais to dover"
Very good journey. Staff very friendly. Would use again. Food excellent.